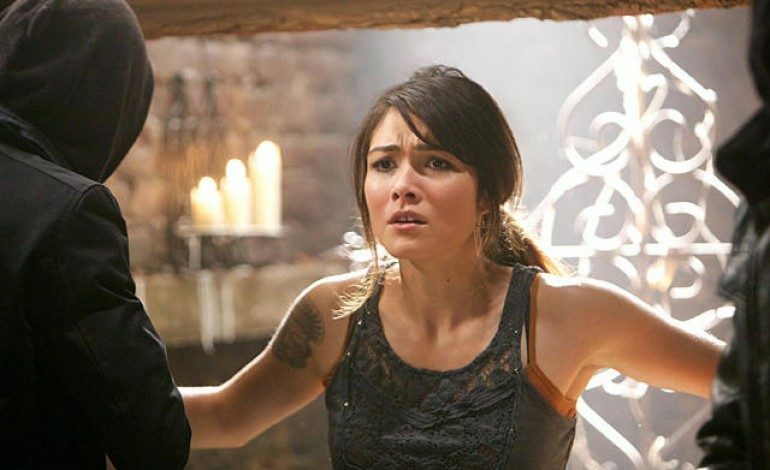 Television’s The Detour and The Originals actress Daniella Pineda has been tapped as the second female lead in the sequel to 2015’s Jurassic World, according to Variety. Pineda joins returning actors Chris Pratt and Bryce Dallas Howard, as well as previously announced new cast members Justice Smith (Netflix’s The Get Down), Toby Jones (Captain America), and Rafe Spall (Prometheus). J.A. Bayona (The Impossible) is directing based off a script by Colin Trevorrow (who directed the 2015 reboot) and Derek Connelly. Trevorrow is also executive producing along with Steven Spielberg. The plot is being kept under wraps, as well as the details to Pineda’s role. Appearing on several television series like The Detour, American Odyssey, The Originals, and HBO’s High Maintenance, this will be Pineda first major studio film. She has two feature indies currently in post-production, one called Mr. Roosevelt and the other Before/During/After. The Untitled Jurassic World sequel will hit theaters on June 22, 2018.